The Games Company is a London-based games development company which specialises in creating games for online casinos and mobile casinos. The company is privately owned and relatively new, which means they do not have as broad a portfolio of games as other software developers. However, their reputation is growing, and they are increasing their presence in the industry year on year. Some of the biggest names in gaming use their software, and the company holds two separate gaming licences to enable their games to be played all over the world in absolute security and with strict assurances of safety and fairness. Click here to read more. The games created by The Games Company are all programmed using the latest HTML5 code, which means they are of the highest quality and ready to play straight away on mobile devices such as tablets and smartphones. Using the most up-to-date technology and programming language has ensured that all the games available from The Games Company are at the cutting edge of game design and usability standards. Launched in 2012, The Games Company has grown steadily in size and reputation over the last few years. The company’s founders are Hans Winkelmann and Ian Matthews, who both used to work for the famous games and betting company Bwin.party, so they are no strangers to the working at the high end of the gambling industry. 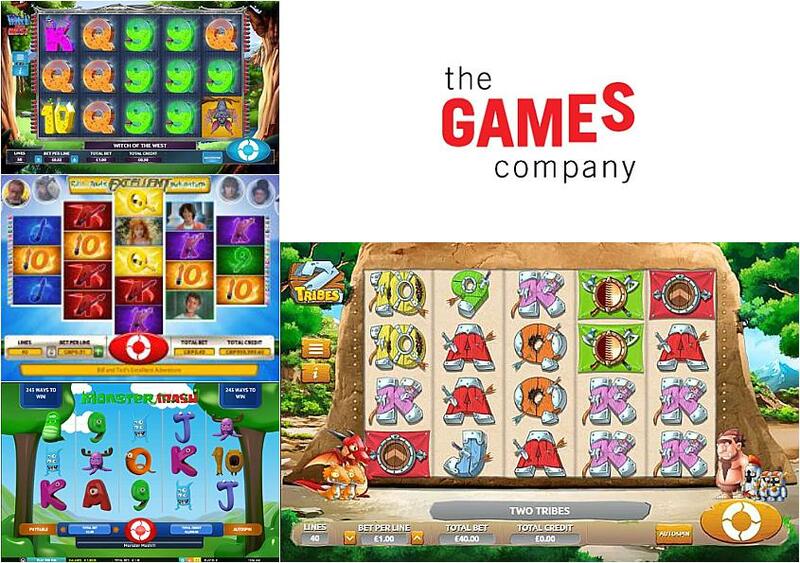 Some of the casino games produced by The Games Company are highly innovative with strong themes, quirky designs and unique game play. The slot machines from The Games Company that are gaining a lot of praise include Bill and Ted’s Excellent Adventure, Road to Rio, Light Racers, Monster Mash, 2 Tribes, Witch of the West and KGB Bears. These slot games are colourful, smooth to play, unique in style and full of character. Each game has a different appeal. There are 40 paylines in 2 Tribes, 50 paylines in KGB Bears, a sporting theme in Football Crazy, 720 ways to win in Bill and Ted’s Excellent Adventure and 243 ways to win in Road to Rio, while Monster Mash has exciting 3D animations along with a personalised element, so players can create their own characters to play with. One of the strongest relationships in gaming is currently between The Games Company and software company Odobo, which gives small outfits such as this one the chance to market their games and present them in HTML5 for a mobile audience. The Games Company is hosting a number of its slots on the Odobo platform, which has brought them into the portfolios of some of the industry’s biggest online casino operators, such as Betfair and Bet365. The Games Company holds two gaming licences – one from the UK Gambling Commission and a second one from the Alderney Gambling Control Commission. This double accreditation means players can be certain of the reliability, responsibility and fairness of all the games in The Games Company’s portfolio. The company is highly trustworthy, and this commitment to acquiring two licences shows their professionalism and dedication to fairness in gaming.